I printed out the chalkboard tag twice and created my card blank. Using elements from design sheet, I then decorated both the inside and outside of mu card. I have matted several of the images with complimentary card to help them stand out further. I have also used a pre-coloured image, Winnie Wishes, from the same design sheet. All in all a quick way to create a shaped card by using minimal elements from a collection. Wow I love your Card Shaped Tag, it is super fabulous. Great design and great image, nice work, love it. 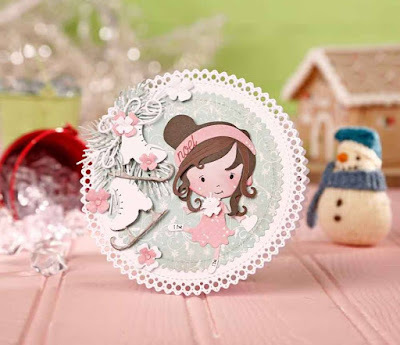 Fabulous tag card and love the sweet image..